The winter storms of 2014 caused significant and widespread damage across the South West region. 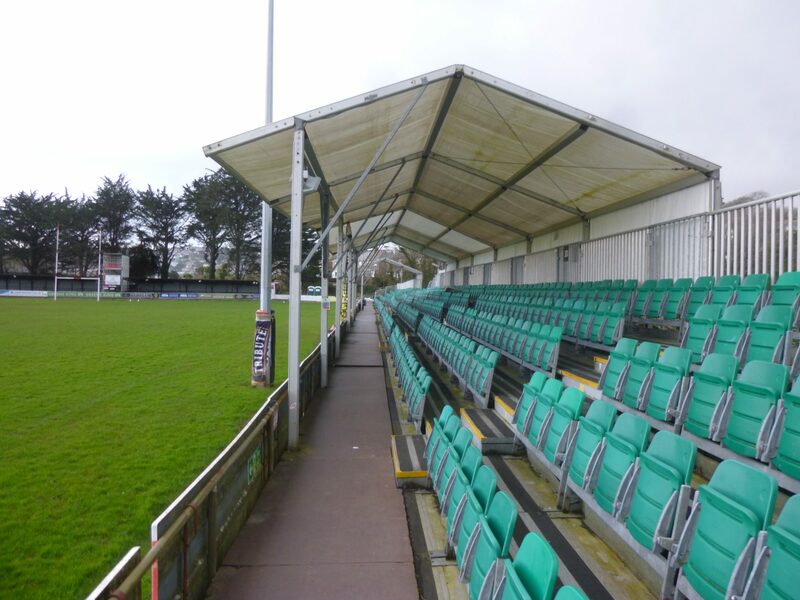 One casualty was the stand at Penzance/Newlyn Rugby Club, home to the Cornish Pirates. 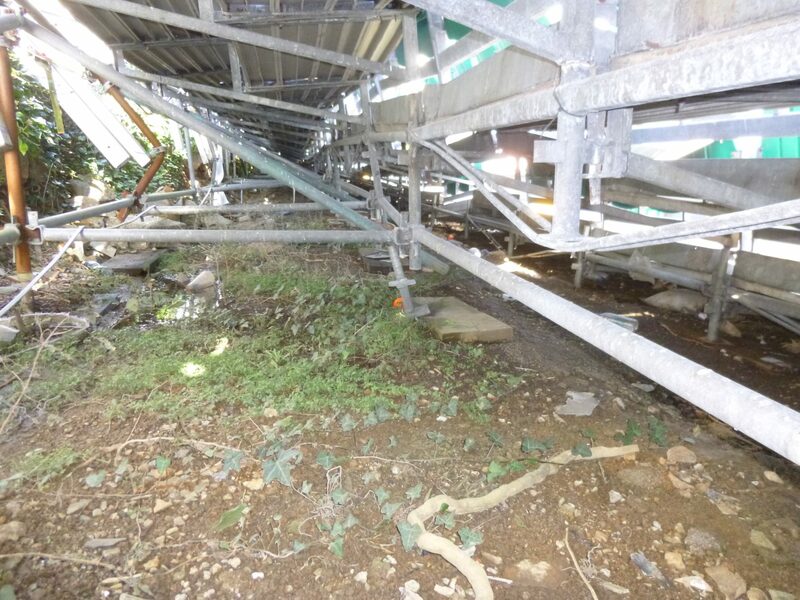 The covered section of the stand was damaged with most of the cover being torn away and the structure of the supporting frame distorted and fractured in places. The seats below were buckled and displaced. 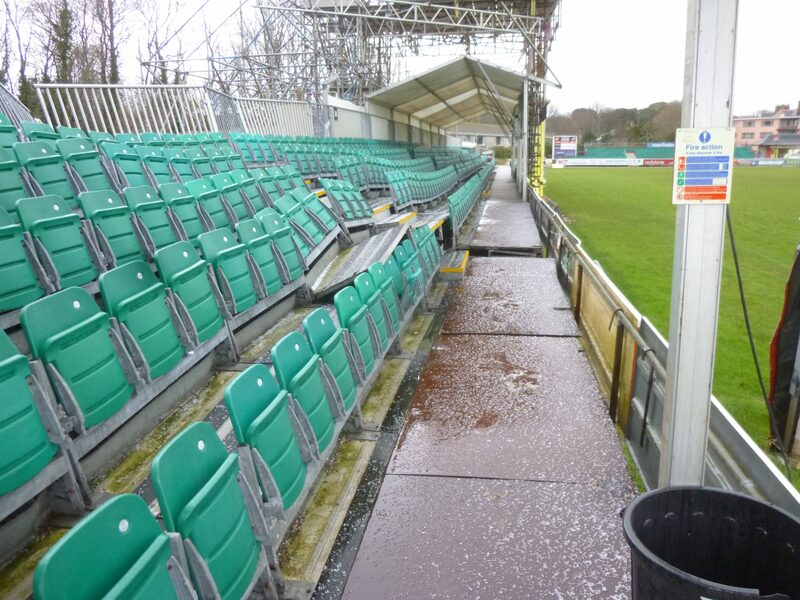 James Lockyer Associates assisted with the options to temporarily reinstate the seating and then repair/replace the seating and canopy whilst minimising the impact on capacity. The original seating system was no longer available and compatibility issues had to be overcome taking account of the escape routes and limited available space. The replacement was specified, sourced and installed in time for the new 2014/15 season.